Canada’s proposed 2011 Census reform: Are concerns of opposition parties and the media legitimate? Political controversy is brewing in Canada following an announcement by the federal government earlier this summer to make changes to the national census next time around in 2011. The government would continue to send a short, mandatory census form to every household. However, under the proposed changes, it would no longer be obligatory for about 20% of Canadians to fill up a “long-form” census. During the last census of 2006, about 2.54 million long forms were distributed in Canada with a 93% return rate, or about 2.37 million long census forms. According to the government minister responsible for the census, the Honourable Tony Clement, approximately 160,000 persons returned incomplete long-format census forms last time, even though theoretically they could have faced prosecution for doing so. He claims this illustrates that many Canadians do not feel comfortable telling the government their religious affiliation, how many toilets are in their home, and similar private data. Under the changes, the obligatory long-form census would be replaced in 2011 with a voluntary National Household Survey (NHS). This would be distributed to approximately 4.5 million Canadian households, and would contain the same questions as would have been included in the long-form census. The change to the NHS appears reasonable to this writer. With all the intrusion into our privacy these days, from private industry and government alike, why not make the detailed questioning voluntary? There are all kinds of people who actually enjoy answering surveys. Hundreds of thousands of them will surely fill the darn thing up. What has been the reaction of the leaders of Canada’s opposition political parties? Before answering that, it should be noted that Canada’s national government, formed from the Conservative party, has a minority in Parliament. This is what is termed a “hung Parliament” in the U.K. The Canadian government could be forced to resign at any time if it loses an important vote in the House of Commons. Naturally, the opposition is constantly testing the waters to find some rallying point in public opinion so it can pull the plug on the government and force an election. One would expect that politicians of all stripes would want to be seen as protecting private data. Surprising at it may seem, judging by the reaction of opposition party leaders, you would think the Canadian government was proposing to abolish motherhood. Liberal party leader Michael Ignatieff, who wants to be Canada’s next Prime Minister, has been vociferous in encouraging opposition to the census reform. He has vowed to “save the census”, and by implication to save the country from the Conservatives. Representatives from many private interest groups, which groups have often benefitted from government grants, and who seem to feel the Conservative government is out to get them, are decrying the changes. They claim that the government’s plans will result in inadequate data leading to social disaster, and less money for groups such as themselves. The Conservatives must be stopped from attacking our public transit systems, daycare, local schools, services to seniors, and everything else imaginable, they contend. Are the media doing their job? 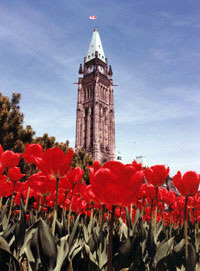 “It’s not just the multicultural programs, the whole question of employment equity in the workforce, which is a huge issue, is based on analysis of this [census data], things like legislated employment equity, they’re talking billions of dollars in economic activity, if this isn’t properly understood, and it won’t be anymore,” Graves is quoted as saying. This quote (if accurate) seems bizarre coming from a pollster, since they normally operate entirely on the basis of voluntary information. Not only that, but pollsters claim with straight faces that opinion polls on key issues in Canada are accurate within about 3.5%, 19 times out of 20, and this with a survey pool of only 2,300 people or so nationwide. Such polls are often the fodder for alarming editorials in the media, and are used frequently by political leaders to base their decisions. But judging by the comments attributed to Graves above, all opinion polls must be complete garbage, given their tiny sampling. But even taking a response rate of only 50% for the proposed 2011 NHS (a rate presumed by many critics) there would be about 2.25 million completed NHS forms returned to Statistics Canada in 2011. Adding it all together, the difference would thus be 2.25 million forms (presuming only 50% participation with the NHS in 2011) vs. 2.37 million long-forms returned last time (long-form census in 2006). We ask what is the accuracy differential with a survey based on 2.25 million respondents (NHS) vs. 2.37 million respondents (2006 long-form census) vs 2,300 respondents (opinion polls)? Moreover, as reported in The Economist on July 15th, many democratic countries around the world are moving away from census-taking as an outmoded and highly expensive way of gathering information. This writer doubts that the media slant in Canada would have been the same on this issue if similar changes had been proposed by the Liberal or New Democratic Party opposition leaders. The media have failed miserably in keeping before the public’s mind the key point that the proposed NHS would have a huge potential survey pool of 4.5 million homes. As far as the opposition politicians themselves are concerned, the question to be answered is: how far are the opposition parties prepared to go to seize upon or even manufacture a crisis to help bring down the government? In a democracy, the media and politicians have a duty not to distort reality on issues that are important to public policy. When mistruths are circulated, whether deliberately or due to simple shoddy reporting, emotion replaces rational debate. The public is entitled to accurate information to participate fully in our society and make educated decisions. Emotion and mistruths are the oldest weaknesses of democracy, as reported long ago by Thucydides in his great work The Peloponnesian War, a book which Mr Ignatieff and Canada’s journalists should take out of the library.